Is this controller cute as hell or what? 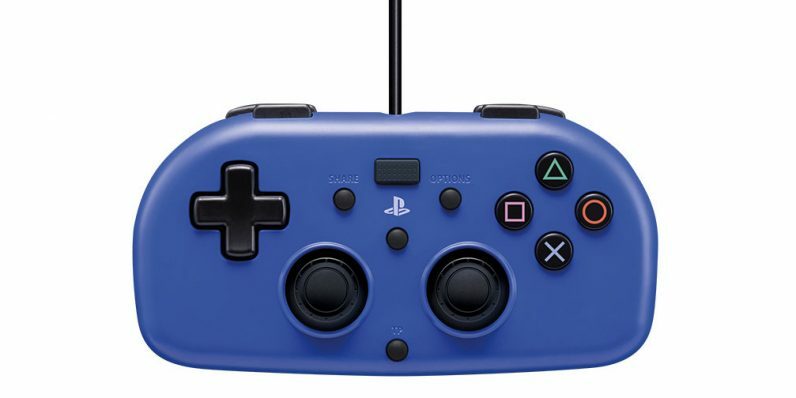 Sony’s teamed up with hardware accessory maker Hori on its new Mini Wired Gamepad, which is designed for younger PS4 players with smaller hands, and it looks nice enough that I want to try it too – despite my giant paws. The $30 Mini is half the price and 40 percent smaller than the standard DualShock 4, making it easier for little tykes to grip. However, it’s a rather bare-bones accessory as it lacks the touch pad, light bar, headphone jack, and motion sensing and vibration functions. For what it’s worth, Sony says that you can mimic certain touch pad inputs with the joysticks. That means it may not be suitable for some AAA titles, but it should be fine for when you take on some baddies with kids in age-appropriate games. The Mini will be available in the US and Canada this holiday season; you can find out more about it on this page. Read next: On-demand delivery app Jinn has permanently shut down.